Sergio Garcia shot a six-under-par 66 to share third place at the BMW International, his first event in Europe since winning the Masters. The Spaniard, whose opening round in Munich contained six birdies, trails leader Wade Ormsby of Australia by two shots and Belgian Thomas Detry by one. England's Tommy Fleetwood, who finished fourth at the US Open on Sunday, is tied for sixth, three strokes adrift. 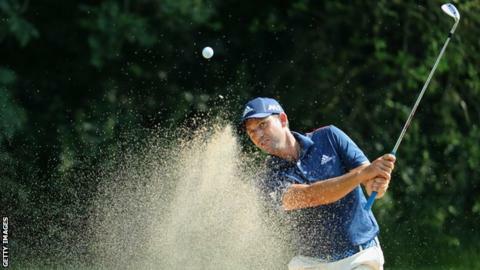 Defending champion Henrik Stenson of Sweden also carded a five-under-par 67. Fleetwood's compatriots Richard Bland, James Morrison and Matthew Southgate matched Fleetwood and Stenson's score. "I felt like I played quite well, but not spectacular," said Garcia, whose Masters triumph at Augusta in April was his first major title. "There's still three more rounds to go, so we're going to keep playing hard and hopefully we'll be up there on Sunday."